Canada has set the official date for the legalization of recreational marijuana: October 17, 2018. The date, which is months later than originally expected, gives marijuana retail shops time to get acquainted with the new laws and set up shops that will run efficiently and safely. "By giving the provinces more time to ensure that they are fully ready for the day of coming into force of this legislation, it will be a smooth success in all the ways that we can hope for,” Prime Minister Trudeau said. The legalization of recreational marijuana in Canada will have an inevitable and profound cultural impact - one that will be seemingly impossible to reverse. 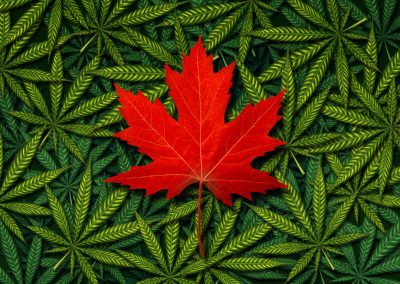 Canada legalized medical marijuana in 2001, serving as a kind of testing ground for the cultural acceptance of marijuana, but the complete end to marijuana prohibition has the entire world watching closely. Will the United States soon follow suit? Canada is set to become the largest potential cannabis market in the world. Millennials, in particular, have the ability to profit greatly from this new industry, getting in on the ground floor. An economic boost is expected to result from legal sales of cannabis. An increase in tourism, directly related to the end of prohibition, also seems inevitable. The illegal black market for cannabis is expected to dissolve. The illegal cannabis industry is estimated to bring in up to $7 billion a year, making criminals very rich, and is linked to increased crime. But even legalization does not guarantee the safety of marijuana retail workers. The security industry is expected to see a boom in sales and service, leading to a possible shortage in security guards. Secure vaults are essential to marijuana retail shops. Whether it’s thousands of dollars worth of product or cash, installing the proper vault is crucial. That’s where we come in! With years of experience serving the medical marijuana industries in both the U.S. and Canada, all of our currently available vault offerings are expected to meet or exceed any of the new requirements of the Cannabis Act and/or the demands of commercial insurance carriers. Many of the vault systems, cage installations, and the like which we pioneered for the medical marijuana industry are well-suited for use as cannabis enters the mainstream in Canada as a legalized product. Our vaults, for example, not only provide needed security, but also safe storage, where limiting exposure to light, air, and other external influences helps maintain product potency. Light Weight Modular Vaults and MicroVaults. Day Gates and Wire Cages. In addition, International Vault’s own SecureCast system solves many challenges at once. These high-security, decorative building panels allow for fast construction of secure buildings that offer LEED certified construction and world-class security. Used in applications as varied as networking centers, classified data facilities, and precious metal storage, SecureCast is a great way to build out a secure cannabis operation from design to completion in the shortest time possible. The hybrid precast panels are also quite cost-effective.